SpaceX and Israel’s Space Communication Ltd., Spacecom, announced late yesterday that it has won a launch order for Spacecom’s AMOS- 6 communications satellite. The launch of the 5 ton satellite to geosynchronous orbit is slated to be conducted in 2015 aboard a Falcon 9 out of Cape Canaveral. It will replace the AMOS- 2 satellite, which is scheduled to be retired in 2016. Unlike the previous AMOS-5 which was built in Russia and launched into orbit aboard a Proton Booster, the new satellite, which is larger and more capable than any of its predecessors, will be built by Israel Aerospace Industries, representing a significant advance in that nation’s domestic spacecraft manufacturing capabilities. SpaceX now has a purely commercial manifest of 23 missions scheduled over the next 4 years, exclusive of US government flights, Dragonlab flights and the anticipated demo flight for Falcon Heavy. Somewhat incongruously, its primary US competitor, United Launch Alliance, still maintains that it requires a large annual subsidy, which neither SpaceX nor Orbital Sciences receives, in order to remain financially viable, with the reason cited as a lack of market opportunity, a stance which seems to be in conflict with the market itself. Altogether the current manifest for SpaceX rests at 40 flights through 2017, with more to come if the company is able to win a share of NASA’s next round of the Commercial Crew Program, and/or extend its partnership with Bigelow Aerospace. SpaceX’s next flight, scheduled for March 1st, is NASA’s Commercial Resupply Mission 2, (CRS-2), which will be the final flight of the Falcon 9 in its original form. Following that, attention will shift westwards to Vandenberg, California and the maiden launch of the upgraded Falcon 9 v1.1. which will loft a Canada’s CASSIOPE satellite into polar orbit. 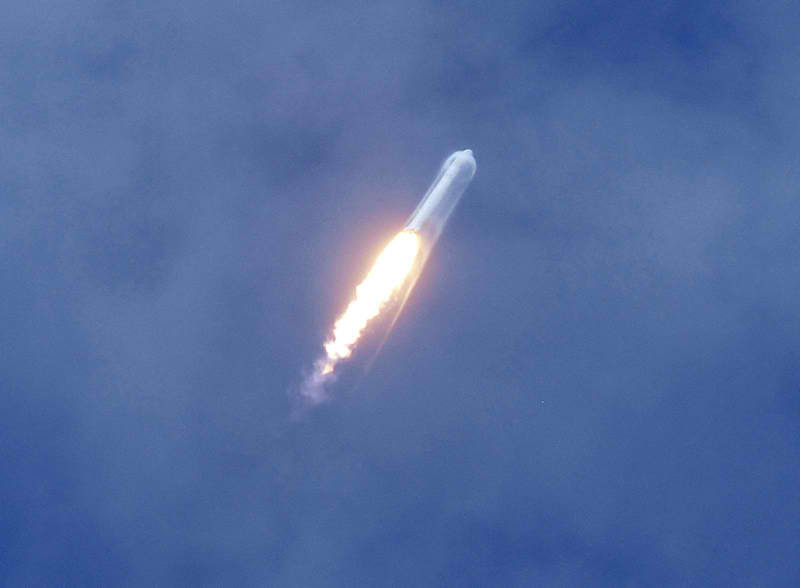 3 Comments on "SpaceX Wins New Commercial Launch Order"
Retweet without the 140 character limit: I would like to see the first Falcon 9 Heavy full up with CRS1 put into an orbit higher than the ISS. Followed by a splashdown from an orbit beyond LEO. It would give Orion supporters in the Senator something to 2 think upon, n’est-ce pas?